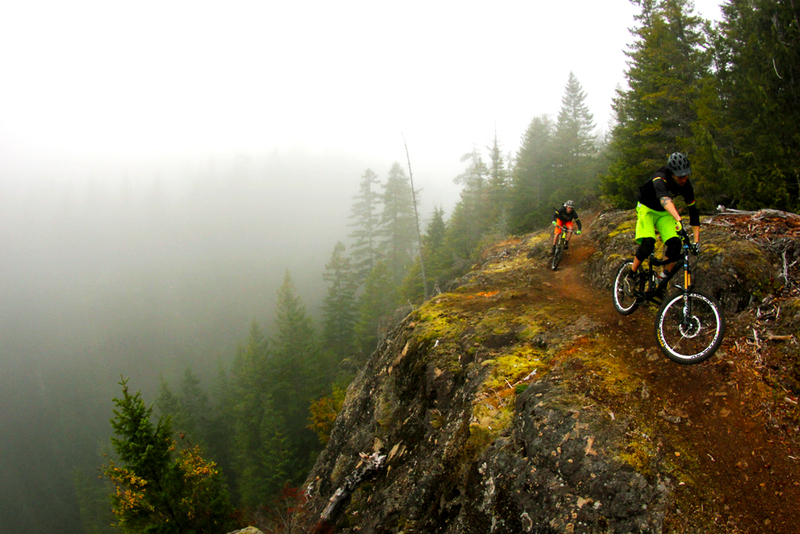 Peeling through the fog in Vancouver Island's year-round biking destination. Photo by Kyle Hansen. Nestled in the Comox Valley of Vancouver Island, Cumberland just played host to a full twelve months of riding—the best winter of mountain biking the area has ever seen. With a record-low snowfall at nearby Mt. Washington, shops reported that locals diverted their ski budgets to new bikes. It’s an exciting time to be in Cumberland and the riding is just the tip of the iceberg. Cumberland has a population of about 3,700 people, but driving down its main street, you get the distinct impression that it’s home to at least twice that many bikes. From 1888 until 1966, this was a bustling coal-mining city where immigrants from Europe, Japan and China came to work and begin new lives. Its heritage is a rich part of Canadian history and the people of Cumberland have worked hard to share its story through museums, preservation projects, plaques and self-guided walking tours. Today, Cumberland’s main industries are logging and outdoor tourism, especially mountain biking. It’s making history in new ways as these seemingly opposing activities occur in harmony, even paving the way to new prosperity for this funky village. You might even see a Western stand-off in the street. Photo by Jenn Dykstra. At the time of writing, Cumberland and its bike club, United Riders of Cumberland (UROC), are in talks with the logging companies that own the land where every inch of trail lies—Hancock and Timber West. Together, they’re working out a land-use agreement that would transfer the liability risk onto the shoulders of the bike club. It’s all part of a cooperative effort that’s both flattering and surprising for the logging companies. The mountain bike community is glad to work with them. Now, when a stand of trees reaches maturity and is ready to be logged, the logging company contacts the bike club and asks about any trails in the area. If there’s a single track there, they go in with an engineer and block the trail to protect it from clear cutting. Once the trees are removed, it’s an aesthetically different trail, but it still functions as a link to the rest of the network. Once the land-use agreements are finalized (hopefully this summer) Cumberland will be able to spread the word and market its stunning trail system for the first time. Until now, it’s been mainly word of mouth, with a big boost from the B.C. Bike Race that brings about 500 racers to town every year. 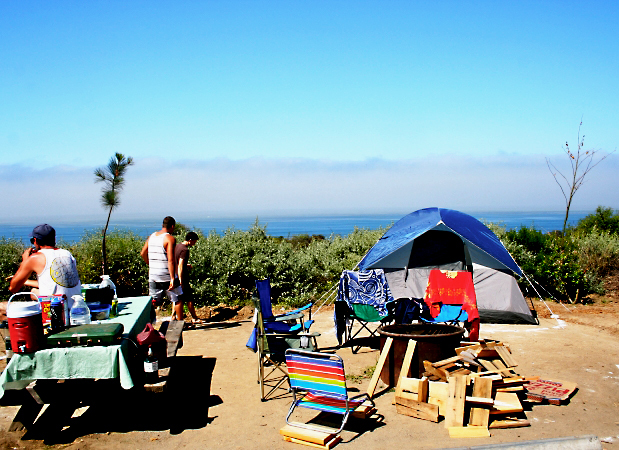 It’s a slice of paradise that’s bursting with character, but not with crowds—yet. “Most people live up here because of the atmosphere,” said local rider and trail builder, Galyn Franklin. 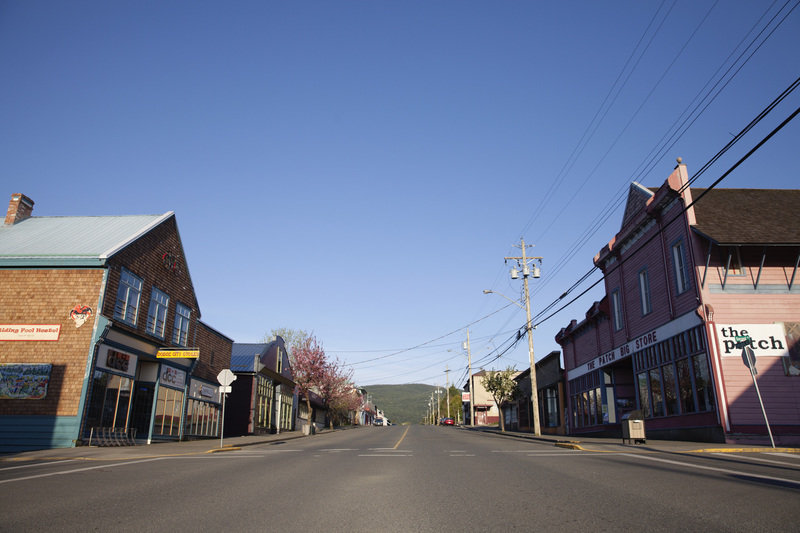 “If you’re into being active and outside, everything is at your fingertips—there’s something for everybody.” He added that although the village of Cumberland is small, the infrastructure of Courtenay is close by. With a record-low snowfall at nearby Mt. Washington, shops reported that locals diverted their ski budgets to new bikes. It’s an exciting time to be in Cumberland and the riding is just the tip of the iceberg. If you’re only in town for a little shred-cation, however, everything you need is a walk away on Dunsmuir Avenue, including clean, comfortable accommodations at Stansbury’s Guest House or The Riding Fool Hostel. If all you need is a little coffee and a pastry to get you going in the morning, head over to The Grind. If a muffin isn’t enough to turn your crank, try the Wandering Moose for more of a sit-down-and-stay-awhile atmosphere. And for the full breakfast, you’ll want to check out Mars on Main for its Yelp-friendly fare including all the favorites, as well as its heritage setting. With an eclectic population of rednecks, hippies and everyone in between, it’s easy to find what works for you, whether that’s gluten-free, medium-rare, or just over-easy. These dudes will get you all set up for some days of shredding. Photo by Jenn Dykstra. By now, you’ll probably be chomping at the bit to get into the lush, green trees you’ve been smelling this whole time. I’d recommend starting with a trip to Dodge City Cycles where you can pick up the latest edition of the official trail map. 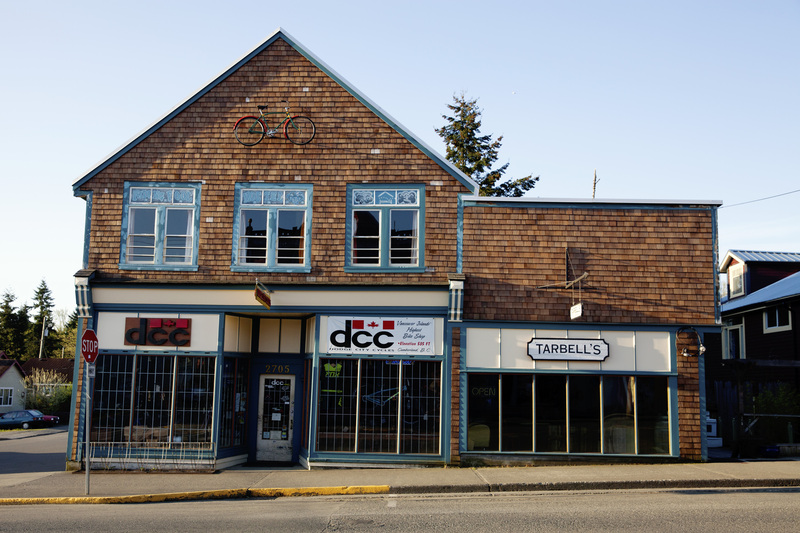 There are a number of other shops as well, including Mountain City Cycle and Trail Bicycles in Courtenay. Each shop has demo and rental bikes for your use if you prefer to leave yours at home, or if you just want to be sure you get a bike that’s suited to the terrain. Cumberland’s trail map is extremely detailed and updated often. Most trails are listed within only a couple months of being built. Out in the woods, however, the trails are not as well marked—though builders and the bike club are adding more signage all the time—so be prepared to check and recheck your map, or to just go with the flow. 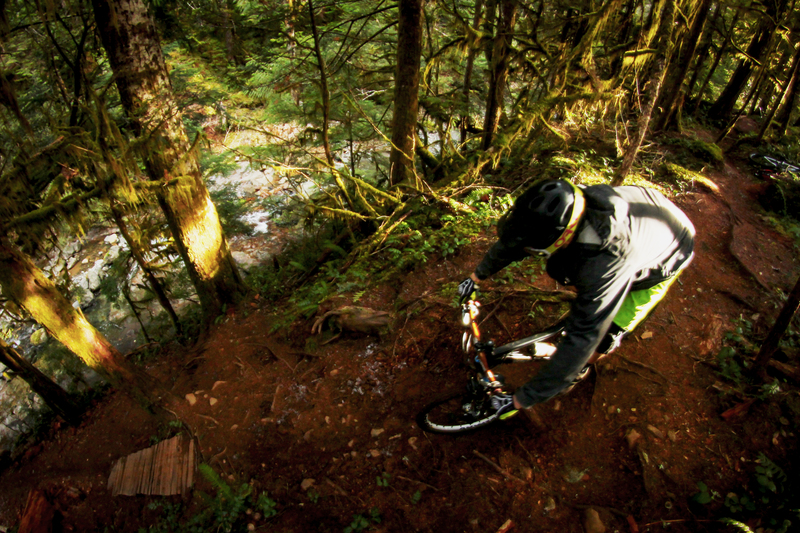 The riders of Cumberland are not only talented shred artists, they also have a knack and enthusiasm for trail building. It’s almost as popular a sport as mountain biking with a large community of individuals each contributing his or her own vision. Start at the trailhead off Sutton Road and Comox Lake Road. Pedal up the main artery fire roads then take your pick of rowdy singletracks to get back down. We loved the ladders and roots of Buggered Pig (both ways), the narrow bridges of Thirsty Beaver, the steep descending switchbacks of Truffle Shuffle, the “so enduro” Tea Pot, the hit lines and teeter totters on Crafty Butcher, and the video-game style whoops on Black Hole and Space Nugget. Be sure to note that all the trails in Cumberland are of the earn-your-turns variety but there are a few shuttle options on the Forbidden Plateau, on the east side of town. This network is very different from the Cumberland trail system, featuring large, exposed slabs of rock and varied, technical terrain, including Two Sheiks, Cabin Fever, and Slither. Combined, there are over 234km of trails in the Comox Valley, and counting. Just booked my ticket. Photo by Kyle Hansen. The riding in Cumberland is among the best anywhere. And while it’s sure to grab your attention there is something else you’re bound to notice. Women. Gaggles of girls and lone she-wolves roamed every trail we tried. At home, I see groups of men, or a group of men with one woman; in Cumberland it is almost the exact opposite. In fact, the UROC bike club membership is 2:1 girls to guys this year. Every Wednesday night, the women of Cumberland meet at the Riding Fool Hostel and head out on an all-levels group ride. 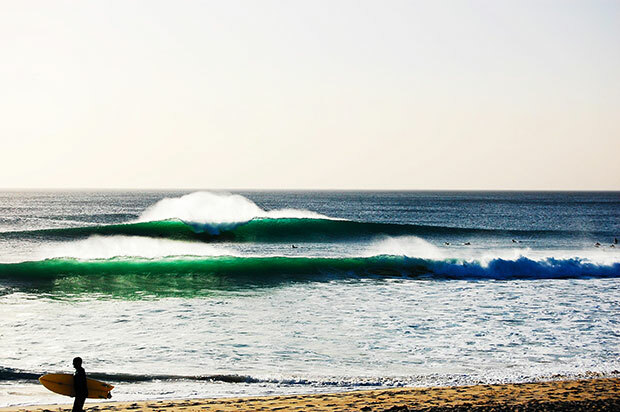 In the shoulder season, these rides attract about thirty-five riders every week. But once summer gets going, the ride grows to include as many as sixty people. “It’s become a really great way for women who come to the valley to meet new people and branch out into something new. It’s a really positive environment for beginners to come out and learn, too,” said Franklin. “You’ll see people who have never mountain biked before go out with the group ride and come back super stoked. For some, literally the whole way they learned to ride is through the women’s group. Now, a year down the road, they’re shredding—they’re expert riders in no time.” If you’re planning a girls’ trip, this could be the destination for you, especially if you book over a Wednesday. The Rocky Mountain team takes to Vancouver Island, with Cumberland making an appearance at 4:00. Bar none, the most prolific builders in Cumberland are a gang of retired sixty and seventy somethings who call themselves the River Rats. Retired from the logging industry, they work full-time hours digging singletrack for no payment but the love of it. It’s thanks to their leadership and example that Cumberland has such a healthy generation of trail builders and mountain biking advocates rising through its ranks. So when you head back to town to refuel and let loose, you’re likely to be rubbing elbows with the builders whose trails left you grinning. I’d recommend buying them a beer—you’ll probably find them at the Waverly Hotel and Pub. From Sunday brunch to lively Saturday nights, that’s the spot, and for a small town, it can definitely get going. Make new friends or bring your own, but with a historical setting, legendary trails and a welcoming community, Cumberland is shedding its ski-town reputation and embracing its mountain biking future. Getting there: Fly to Comox, B.C.